OlaBola is a fictional tale about a multicultural team of footballers who have to overcome their differences and personal struggles for a chance at international success. Inspired by true events in 1980, this original story by Chiu Keng Guan is a celebration of the glorious days when the entire nation stood as one behind our national team. Will the fictional version of our national team be able to reach the international success? What are the struggles faced by the team? Let’s say Ola to our favourite sport in your nearest cinema! “Ola Bola” is a masterpiece Malaysian production directed by Chiu who is also the director for the highest grossing Malaysia Mandarin Movie ever, “The Journey 一路有你” . The Love For Football! And Unity! Inspired by a real-life story (Check out my previous post on the press conference of Ola Bola: http://www.wljack.com/2016/01/coverage-olabola-special-media-premiere.html), this film has captured the essence and glory moments during the primetime in Malaysian football history and delivered it via an original script with fictional characters that are based on real life footballers. 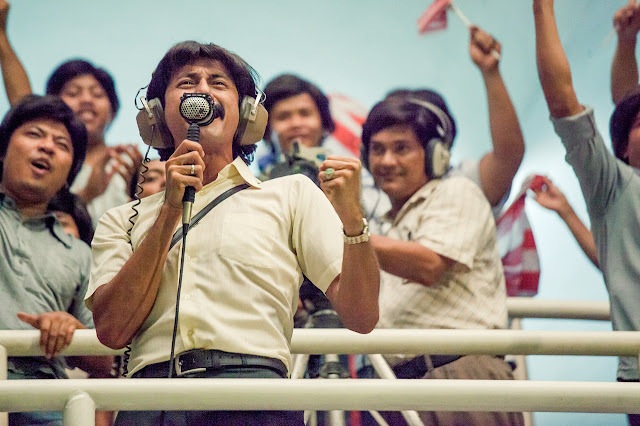 The love for football can be felt as the movie attempted to deliver the storyline via various vantage points and roles of the beloved sport. Featuring the storyline from different perspectives, from the life of the team captain, the striker, the goalkeeper, the coach and even the commentator, the film truly depicts the game in a complete way. If you love football, this is a movie you deserved to watch. 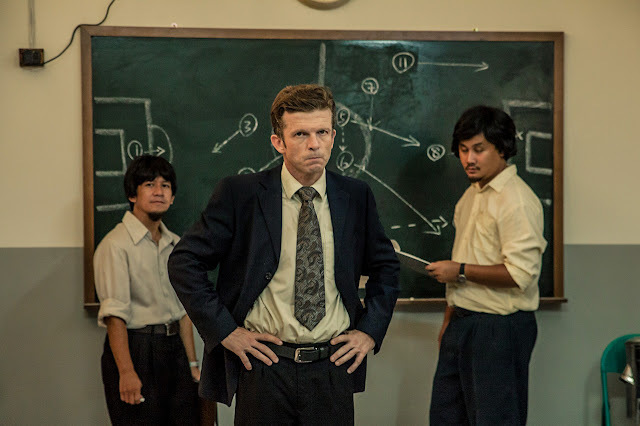 But for those non-football fans, do not afraid, as the movie also touches on what’s unique in Malaysia, which is the multicultural society present in our country. 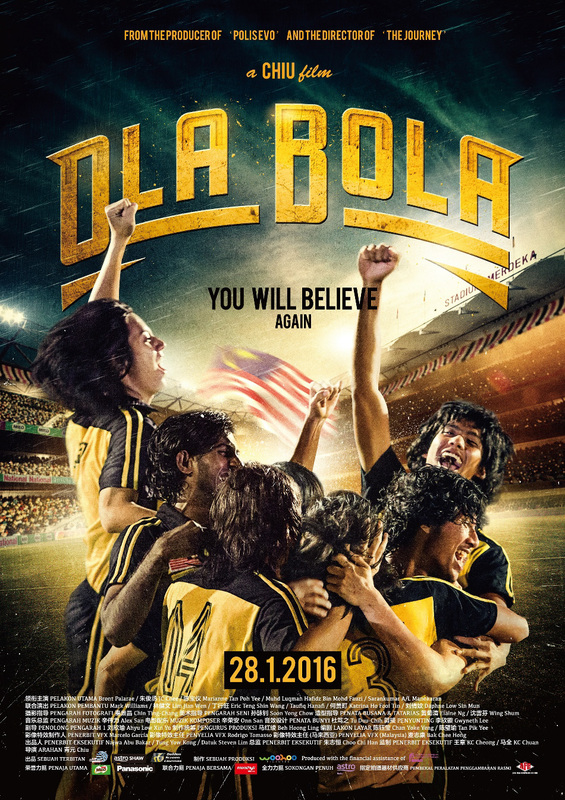 By filming the movie in a multi-lingual approach with protagonists from different races, Ola Bola has utilized it well and added an additional “Malaysian” flavor to the movie. From every aspect of the movie, the maturity of the seasoned director in handling the filming of the movie can be appreciated. It may be a local movie, but it’s a local movie with an international standard of quality. Despite it centralizing on football, many scenes in the film have actually delivered tear-jerking moments which could touch the hearts of those who aren’t even a football fans. The struggles and obstacles faced by the characters are heartfelt. In fact, even the characters singing patriotic songs made you feel warmth and touched. All these have clearly shown us how good the director is in expressing those emotions. I believed no one could deny the spectacular cinematography of the film. All of the scenes were shot in the most rightful angles and perspectives. In fact, during the interview, the director mentioned that they have captured some of the scenes repetitively in different angles in multiple times in order to get the best result possible for those specific scenes. Besides that, just like in “The Journey”, Ola Bola has also impressed the audience with the breathtaking shots of Landscape scene during their transitions between plot-driven scenes. Those landscape shots are so brilliant that it could make you wonder, “Wow, is this really Malaysia?”. Yup, it definitely is! Those scenes might not be necessary but it is an additional eye candies for us to learn that our very own country has had such nice scenic views too. Motivational Plot and A Trackback down to Memory Lane! 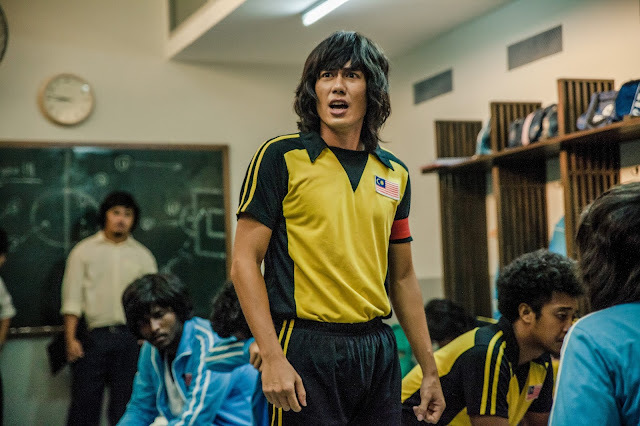 As mentioned, this movie is inspired by real-life event in 1980, which was the Pre-Olympic match between Malaysia and South Korean. The storyline itself has a lot of motivational boosts as depicted by the characters in it. With the movie main slogan, “You will believe again!”, there are just too many pointers to make the audiences feel motivated after watching the movie. In addition, it’s also a movie which reminds us that our country has actually had its glory times in this sport once upon a time. I believe many would actually go and google at whether there are really Tauke in the past in our national team. 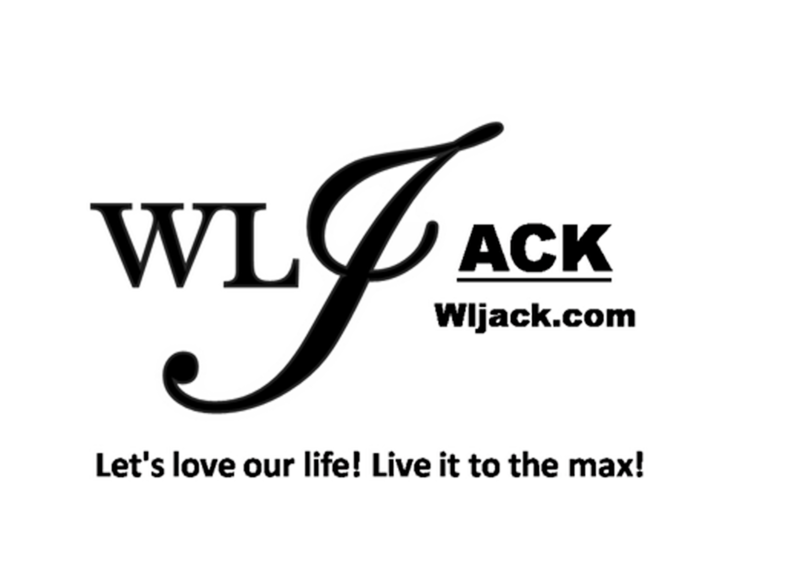 Well, I suggest you to browse on it too and you would be surprise to know what you would be able to discover. Brand New Casts But Great Acting! Bront’s charisma spiced up the film! One of the things which might worry the audiences before they opt for the show would be the lineups of the casts. Many of the main casts are non-familiar faces in the big screen. However, fret not, as these youthful actors and actresses put the audiences at ease with their great effort in delivering up-to-standard acting! Their convincing acting can draw you closely attached to their characters! 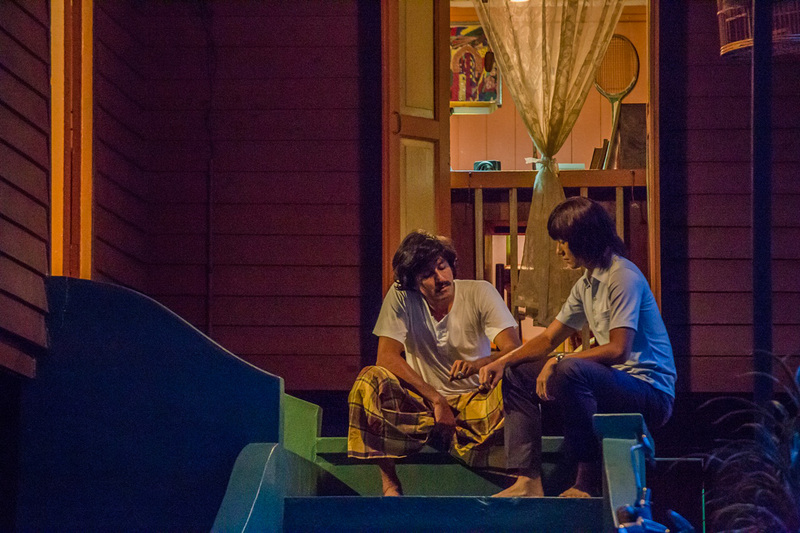 Last but not least, my favourite is of course the role of Rahman which is played by Bront Palarae. His charisma has made him shine in the film and left the audiences with a lot of memorable moments. Most audiences would leave the theatres with Rahman’s voice “Goal! Goal! Goal!” playing in their mind. Another great element in the film is the background music and original soundtrack. Featuring epic background music, the orchestrated bgm is what made the movie more movingly emotional and touching! Besides, original soundtracks like Zee Avi – Arena Cahaya have also added more delight for the audiences’ tympanic pleasure! There might be a minor pacing problem in some part of the show. (especially the earlier part of the movie) But it’s really very minor that it is nearly unnoticeable compared to the other greatness of the film! This movie deserves a 8.5/10.0! “Goal!!!! The euphoria that everyone gets when we saw our national team scored against their mighty rivals. 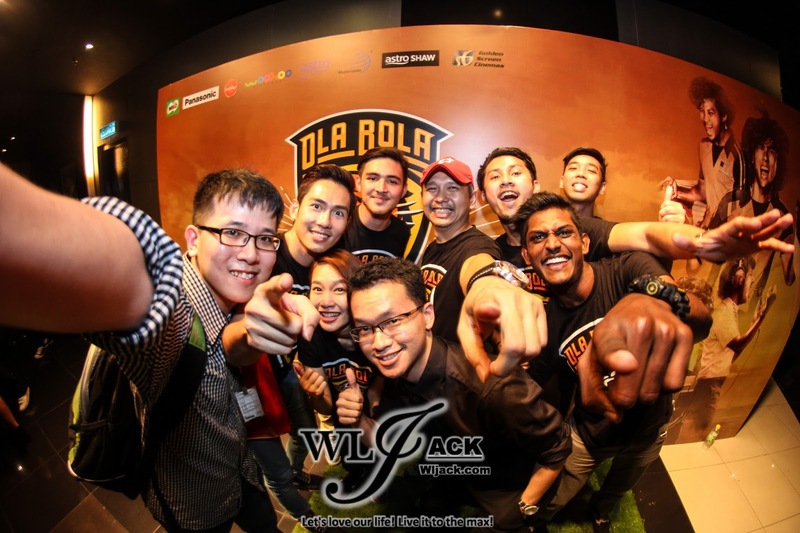 Ola Bola brought out the importance of team spirit, applicable in everywhere in the world, be it in corporate work place, in the army, or even within a family. Besides, this movie is able to enforce a national unity in the hearts and minds of all Malaysians, overcoming the recent hardship felt throughout Malaysia. 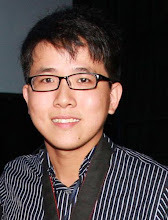 Also, kudos to the wonderful work that the Director Chiu has done, not limited to also bringing up a whole line up of new actors and actresses to boost the local film industries. A highly recommended movie for everyone! If you are a footballer fans, you should watch it! Even if you are not, this movie could provide you the fun more than you could have expected! !